AGE OF X-MAN is uncharted territory for our beloved mutants. Thompson and Nadler are quickly solidifying their status as crucial X-Men creators. Nate Grey was able to pull off his extremist dream of crafting a utopia world for mutants. 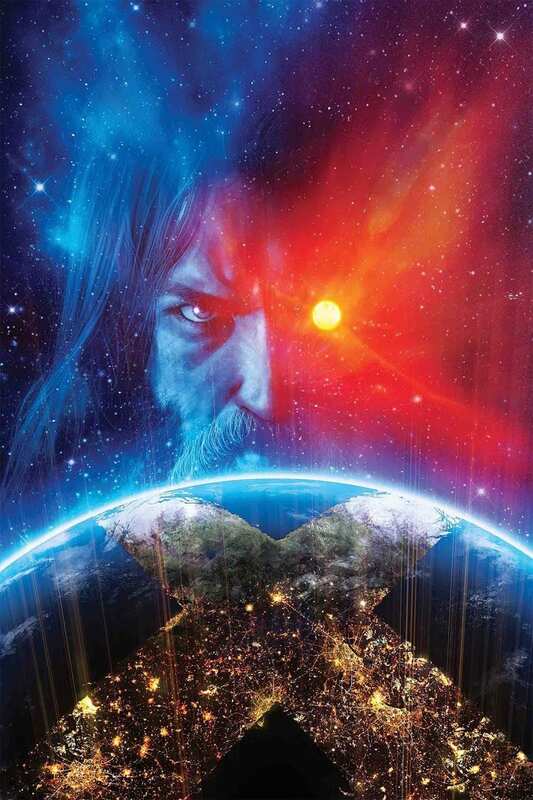 AGE OF X-MAN: ALPHA is our introduction to this world that will be consuming Marvel’s line of X-Men comics. The brilliant writing duo of Zac Thompson and Lonnie Nadler (CABLE: Past Fears) are back to share an ambitious vision. We dive right into this strange new world where mutants reign supreme and the X-Men are celebrated heroes. Our lineup of main heroes, led by Nate Grey, are more relaxed than ever. There’s no incoming apocalypse, no mobs promoting hate, and mutants are healthy in number. This is a peaceful world, but one with plenty of rules to follow. The biggest rule being a ban on romantic relationships–a rule that Bishop and Jean Grey apparently take no part in. There’s something sinister and eerie underneath the beautiful and cheery surface. Seeing Bishop taken away and Jean’s memory wiped gives us our first glimpse into the darker side of this bright utopia. As we tour our new landscape, we meet some new characters and get treated to the redesigns our old favorites. The roles our X-Men find themselves in are interesting, we barely scratch the surface. Like any “Alpha” primer issue, we’re exposed to our new setting along with teases for all of the peripheral tie-ins. Thompson and Nadler sprinkle in the tie-in incentive quite masterfully. 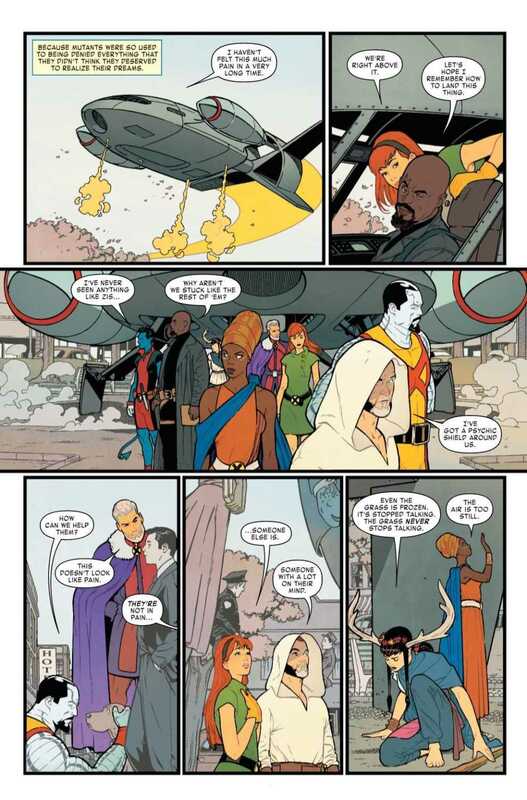 Whether it’s a major plot point like Bishop’s incarceration or a horrifying look in Glob’s eye, there appears to be plenty of story to tell in this Age Of X-Man. The sentiment felt by X-Men fans in Thompson and Nadler’s brilliant five issues of Cable carries over here. These creators have a deep love for these characters and have no problem expressing that through plenty of quieter character moments. There’s not much action to this issue and the story is better for it. They may be remodeling the mindsets and priorities of these characters, but they’re able to do so without raising any more questions that the characters won’t ask themselves. Something is amiss in this perfect world and it’s not just the reader than can feel that. 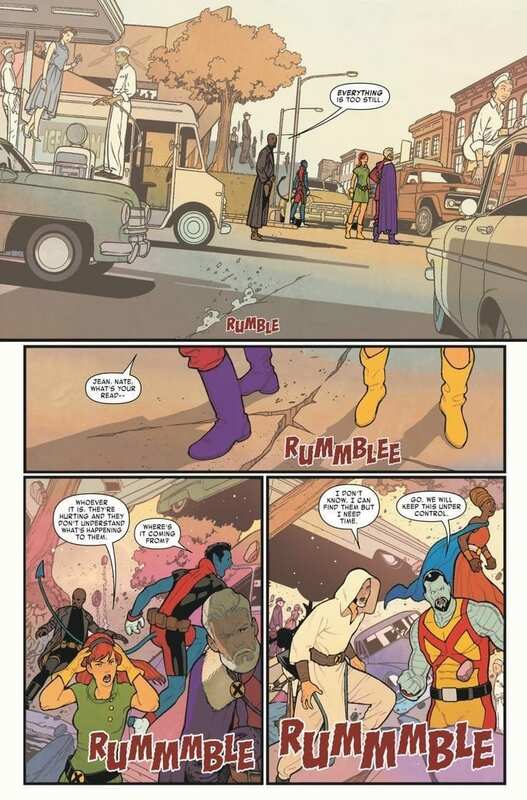 This is uncharted territory for X-Men comics, we’ve never actually seen a world like this. When Nate claims this is not Xavier’s dream realized but his own, that’s when you realize that we really don’t know what to expect going forward. As far as event kick-offs go, this checks all the boxes without over-the-top drama and action. 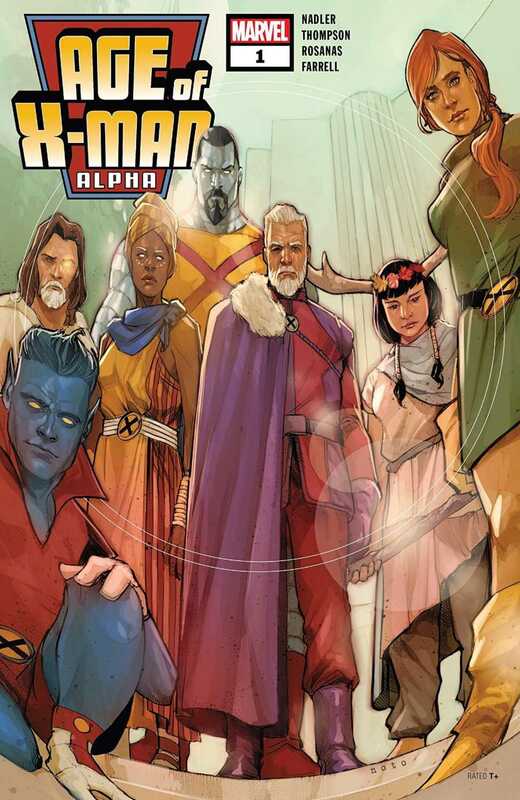 There’s tension and mystery to Age Of X-Man Alpha built strictly out of intrigue. Despite the slight shades of Age Of Apocalypse and House Of M that you may have felt from solicitations, this is a beast of a different color. Artist Romon Rosanas and colorist Tríona Farrell wonderfully immerse us in this new land of mystery. The peaceful but uneasy tone is illustrated perfectly. Page layouts and panel angles are cinematic and colorful. The art makes it feel like a dream, with the proper dose of nightmare lurking in the background. Thompson and Nadler’s vision is getting the treatment it deserves in both scope and execution. AGE OF X-MAN: ALPHA is loaded up with plenty of reasons to stay along for the full ride.